The Adhiparasakthi College of Physiotherapy was started in the year 1994 and offers a 4 year degree in Bachelor of Physiotherapy. 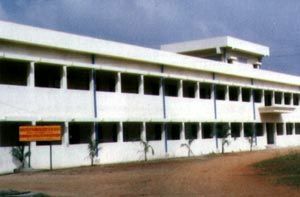 This college is affiliated with the Tamilnadu Dr. M.G.R. Medical University, Chennai. The annual intake is 50 students and the total strength of the college at present is 170. The college has been accorded membership in the Indian Association of Physiotherapists in recognition of the college's excellent work in the field of Physiotherapy. As of this date, the college has produced 125 students, most of them are placed well.